Here’s Khloe Kardashian, clad in all black and white, arriving to film a scene for Keeping Up With The Kardashians at a restaurant in Studio City, CA. (Yes, it’s STILL on, and they’re STILL filming more episodes.) She’s carrying a Chanel Lego Mini Flap Bag, which is a leather shoulder bag version of the $10K Chanel Lego Clutch that was so popular from Spring 2013. This bag is from Chanel’s Fall 2013 collection, which has just arrived in stores. It’s hard to talk about the Kardashians these days with even half of the usual frivolity we usually employ when discussing all things Kardashian, mostly because of all the legit drama involving Khloe’s hubs, Lamar Odom. Frankly, I don’t know how Khloe manages to put herself together in the morning and get all this on camera every day. I would be hiding out at home in my bathrobe with the shades drawn at this point. It doesn’t seem very promising when it was first released. Pardon me? Chanel ‘Lego’ Clutch? Will I be able to build a castle with it? It reminds me back to the old-days, Lego was my favorite toy because we didn’t had sophisticated computers like today. Karl Lagerfeld has boldly introduced series of unusual designs, UNEXPECTED. First it was the hula hoop bag, which shocked the half population. Either loved it or hate it, there were no room for opinions in between. And now it’s the Chanel Lego bag, but this time it seems that Karl Lagerfeld has hit the jackpot, fashion forward celebrities like Kim Kardashian and Rita Ora have both been spotted with the latest arm candy. First of all, these bags aren’t called Chanel lego bag, but Chanel Minaudiere clutch bag. You can easily carry it around your shoulder with the long strap that comes with it. It’s made from plexiglass, material that is clear and light, in lambskin lining. 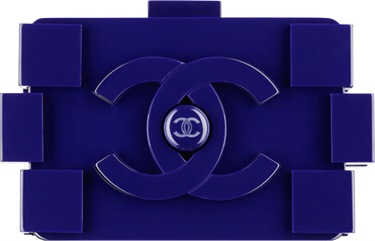 Whether it is practical or not, the Chanel Minaudiere clutch bag is definitely a great conversation starter, it stands out, makes people curious (even those who aren’t familiar with designer bags) and differentiate your style from the crowd. It matches great with chic clothes, but casual looks stunning too. So what do you think? Wanna play with the Chanel Lego clutch?